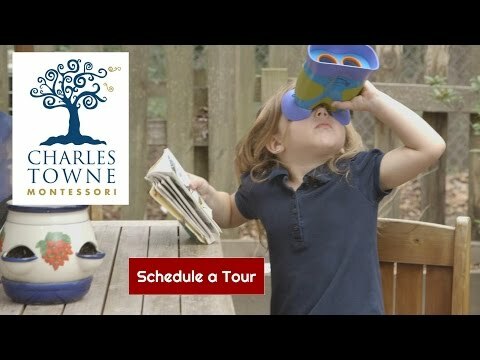 Charles Towne Montessori – Where your child loves learning. Charles Towne Montessori is the only internationally certified A.M.I. Montessori in the state of South Carolina. We are one of 77 Montessori schools in the country to have primary and elementary programs certified by the Association Montessori Internationale (A.M.I.). We offer a private Montessori education for children ages 15 months (and walking securely) through 12 years. A.M.I. accredited Primary and Elementary Programs for children 3 through 12 years old (through 6th grade). Internationally certified and experienced teaching staff. Licensed day care facility offering extended hours and enriching after school programs. 3 acres privately owned wooded campus; fully fenced in and secure.